NSHS Faculty Players present "Family Reunion"
We all love family gatherings! Or do we? 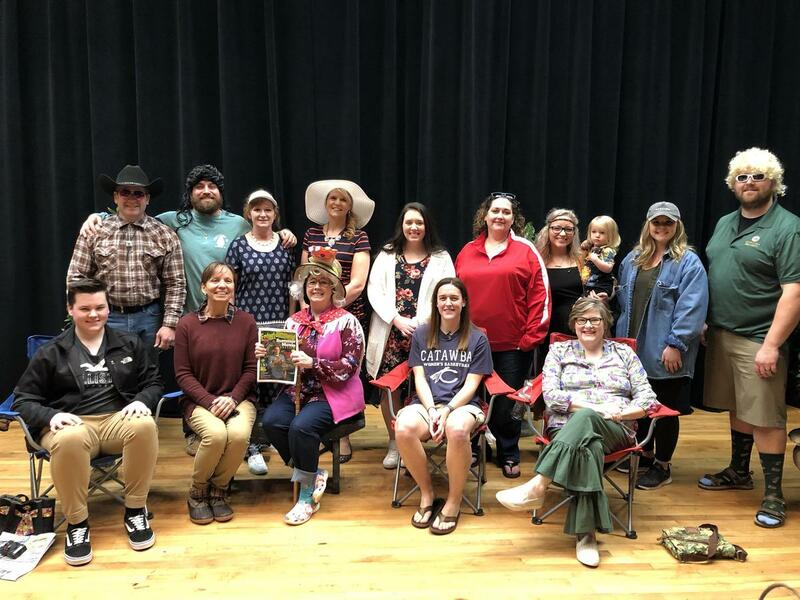 On March 15 and 17th, the NSHS Faculty Players presented "Family Reunion" as a fund raiser for the drama program at North Stanly High School. In this hilarious play, two sisters, Fern and Violet, come together to visit and gossip about other family members. Who is this beautiful girl? Will the other sister, Rose, show up and try to tell everyone what to do? Will the sweet little grandma find her teeth and help her grandson or granddaughter find true love? Who are the other cousins and what do they know? And is that really Chriss Pratt who just showed up to collect the trash? These questions were answering during the hilarious family reunion planned by the Greenhouse Sisters. Gotta love family!